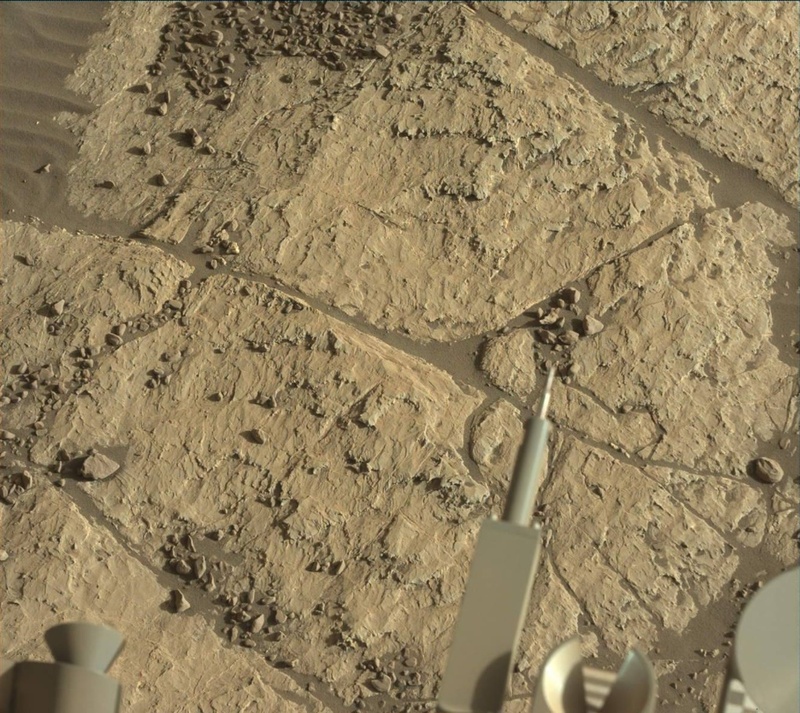 For the last several months, the science, engineering and operations teams have only met three days a week to plan activities for Curiosity in order to give the engineers more time to focus on bringing the drill back online. This week, we returned to planning five days a week as we continue to traverse east across the "Vera Rubin Ridge" within the Torridon quadrangle, and it feels like the sols (and blogs!) are flying by at rapid speed! Curiosity remained at the same patch of bedrock she has been at all week, a great spot to sit still at while SAM conducts geochronology analyses of the "Ogunquit Beach" sand sample. Before SAM kicks off overnight, Curiosity will acquire a 360 degree mosaic with Mastcam (always a stunning product), and ChemCam will plaster the target "Newmachar" with a rare 16 point raster. These data will provide insight into the chemical variability of Newmachar, which was analyzed on a previous sol with two APXS integrations. The rover will take a brief look skyward for dust devils and clouds, and measurements of the clarity of the atmosphere, and then it's on to SAM. Fingers are crossed for SAM success as the team looks forward to getting back to work again tomorrow!